Our Centre is open Monday to Friday from 6.30 AM until 6:30 PM and all programmes operate for 52 weeks of the year – including school holidays. We are closed only on gazetted public holidays. We encourage parents to bring their child to the centre prior to their commencement for a short period. This will enable your child to familiarize themselves with the environment and to meet the staff. We welcome parents to visit the centre with their child as many times as they feel comfortable. Good nutrition is an important part of our daily programme. We encourage healthy eating habits at the centre, therefore, our weekly menu factors in the suggested nutritional guidelines for children. Our centre provides Morning Tea, Lunch and Afternoon Tea for children in each of the age groups within the centre. Our centre menu is compiled and reviewed in conjunction with feedback from families and Educators. The centre menu is always on display for families to peruse. 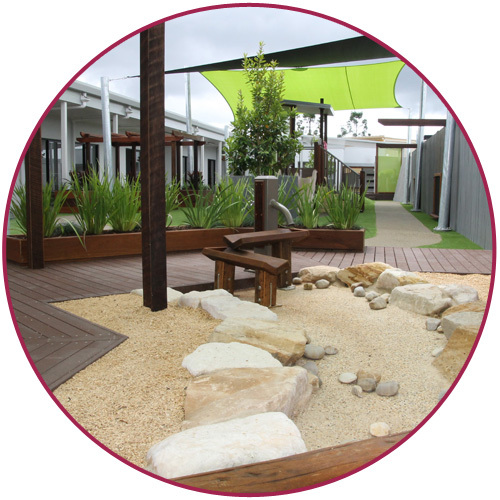 The Strathpine Early Learning Centre is privately owned, managed and operated by Feng Holdings Pty Ltd and Jubarlee Enterprises Pty Ltd ATF The Strathpine Early Learning Centre unit Trust. Strathpine Early Learning Centre is operated in accordance with the interests and needs of the families within the community. Please contact us if you have other enquiries.